Contact the owner Jerry @ 989-821-6321 with any questions.VERY RARE-#41 OF 50 RESORTERS BUILT IN 1947; 3 KNOWN TO EXIST IN USA. 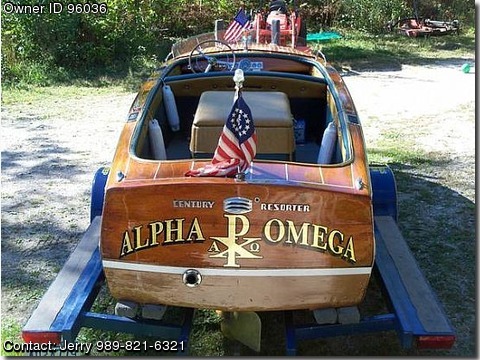 TOTALLY RESTORED TO ORIGINAL IN 2004; ALL BRIGHT WORK, INSTRUMENTS, ENGINE ORIGINAL. MADE OF AFRICAN MAHOGANY, TREATED WITH "SMITHS' CPES"(CLEAR PENETRATING EPOXY SEAL) TO RESTORE INTEGRITY/PRESERVE ORIGINAL WOOD.